Well-documented was the rise of diversified emerging markets ETFs in 2012. Multi-country funds such as the iShares MSCI Emerging Markets Index Fund (NYSE: EEM) and the WisdomTree Emerging Markets Equity Income Fund (NYSE: DEM) delivered solid returns while attracting a steady stream of new assets from investors. Country-specific funds such as the those tracking the Philippines and Turkey got in on the act as well, delivering jaw-dropping returns. Just a few trading days into 2013, emerging markets ETFs are extending their 2012 gains as EEM and DEM are in the green and some country funds such as the Market Vectors Vietnam ETF (NYSE: VNM) have already set a torrid pace. Amidst all the ebullience, emerging markets sector ETFs can go overlooked. Ignoring these sector funds in 2013 could prove to be a mistake because some have already outperformed traditional diversified and country-specific developing markets ETFs. With that in mind, consider the following ETFs as the among the best bets at sector level in the developing world this year. 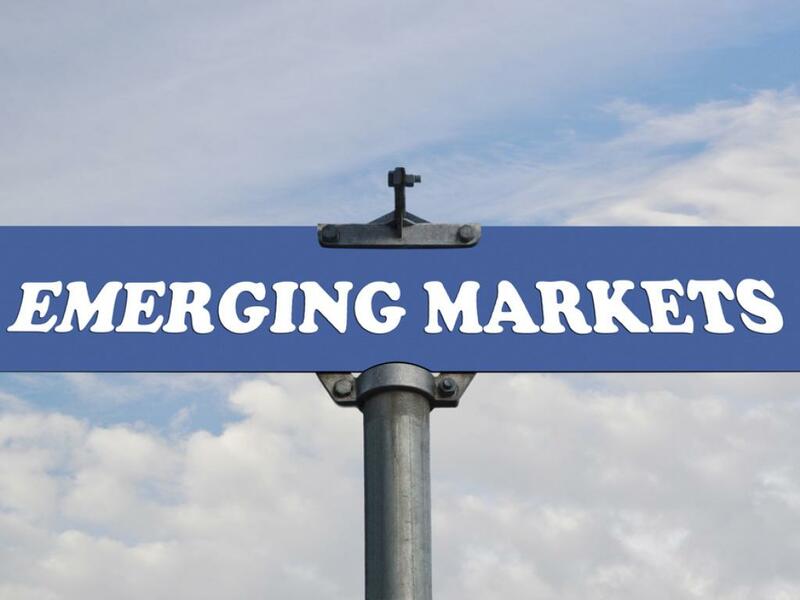 EGShares Emerging Markets Domestic Demand ETF (NYSE: EMDD) The EGShares Emerging Markets Domestic Demand ETF is more of a thematic concept than a sector-specific play. That theme, as EMDD's name implies, is a goal of a plethora emerging markets, both large and small: Increased domestic consumption. While rapidly rising export numbers can be seductive, a heavy dependence on exports exposes any country to the economic woes of its trading partners. Just ask Australia, Brazil and on and on. Is it possible for a developing economy to be focused on domestic consumption while growing in size? The answer is yes. Just look at Indonesia, Southeast Asia's largest economy, where domestic consumption represents 60 percent of GDP. 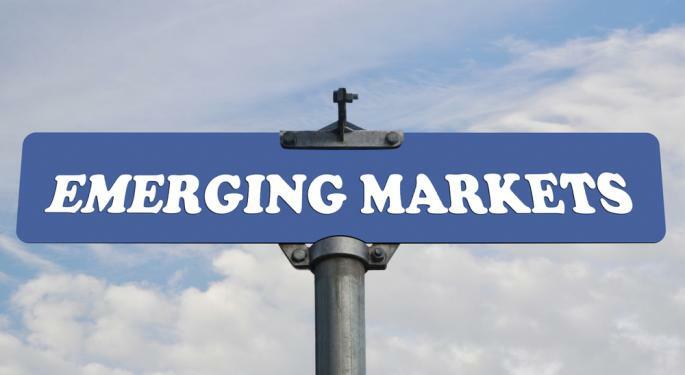 Regarding EMDD, the ETF is one way of avoiding a misguided approach to tapping into the emerging markets consumer theme. That being the flawed thinking that Western multinationals are the way to play rising middle classes in the developing world. In reality, many emerging markets consumers prefer the brands they have known their whole lives. At the sector level, EMDD is fairly conservative as the fund is heavy on food and beverage and telecommunications names. EMDD does offer a direct avenue to the expected vibrancy of Asia's local demand story over the coming years. India and China combine for over 30 percent of the fund's weight. EMDD also features smaller allocations to Indonesia, Malaysia, Thailand and the Philippines. EMDD has returned 12.3 percent over the past six months. Global X China Consumer ETF (NYSE: CHIQ) In early October 2012, the Global X China Consumer ETF was identified as one China fund beyond the usual suspects that could benefit from a rebounding Chinese economy and government stimulus efforts. Since then, CHIQ has jumped 13.6 percent. With retail and food names combing for over 41 percent of CHIQ's weight, the ETF is heavily exposed to Chinese consumers' everyday needs. Being exposed to the Chinese consumer at all is not such a bad thing, particularly for patient investors. A study by Boston Consulting Group shows consumer spending in China and India is expected to reach a combined $10 trillion per year by 2020. In the years leading up to 2020, the amount expected to be spent by consumers in the two countries is $64 trillion. CHIQ already has some believers. The ETF had about $111 million in assets under management in October 2012. That number is now almost $198 million, according to Global X data. iShares S&P Emerging Markets Infrastructure Index Fund (NYSE: EMIF) Investing in the emerging markets infrastructure theme can be a frustrating endeavor. Back in 2011, Bank of America Merrill Lynch forecast that select emerging markets will need to spend about $6 trillion on infrastructure over just the next three years. Not to mention, many emerging markets such as Brazil and India are in dire need of significant infrastructure upgrades. However, those fundamental factors have not always lead to stellar returns for EM infrastructure funds. With the iShares S&P Emerging Markets Infrastructure Index Fund, it pays to keep in mind that Brazil and China combine for almost 58 percent of the fund's weight. The latter has a reputation for not being shy about using infrastructure spending as domestic economic stimulus, a trend that should it continue, will benefit EMIF. For its part, Brazil announced a $66 billion stimulus program in August, but immediately following that announcement, the EGShares Brazil Infrastructure ETF (NYSE: BRXX) tumbled. Whether or not ETFs such as BRXX and EMIF benefit from Brazilian infrastructure projects this year remains to be seen. This much is clear, however. The funds' constituents will be busy. On its own, the state of Rio de Janeiro needs $13.5 billion in new infrastructure and upgrades in advance of the 2014 World Cup. EGShares Emerging Markets Metals & Mining ETF (NYSE: EMT) The EGShares Emerging Markets Metals & Mining ETF has a nifty feature to it often goes ignored. "EMT is designed to provide non-U.S. dollar, equity-based commodity exposure to the largest miners of copper, nickel, platinum, palladium, iron ore, and coal in the emerging markets. With exposure to emerging market currencies such as the Brazilian real, South African rand, and Russian ruble, EMT can benefit from currency appreciation versus the U.S. dollar," according to EGShares. In other words, EMT can act as a dollar hedge within portfolios. Still, EMT is another case of investors needing to know exactly what they are buying before jumping. Four countries – South Africa, Brazil, China and Russia – combine for about two-thirds of the fund's country weight. Additionally, Brazil's Vale (NYSE: VALE) is the fund's top holding at almost 10.4 percent. That means the recent rebound in iron ore prices, due in part to a spate of positive Chinese economic news, needs to continue to help EMT move higher. Add to that, EMT does feature some exposure to gold miners an often frustrating sub-sector for investors over the past two years. Bottom line: EMT has a lot of moving parts to its upside case in 2013, but the ETF has gained 9.3 percent in the past month. 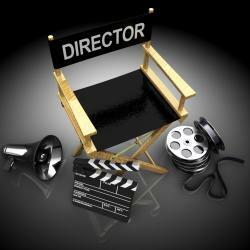 Which Studios Will Benefit from the Oscar Nominations this Year?